On May 30th two double-hulled vessels set sail from Hawaii on a three year journey around the world. 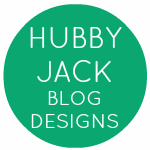 The 62 foot double-hulled Hokulea is made up of a couple of sails, a wooden oar to steer and about five miles of rope to hold the canoe together – what you won’t find on board is any type of navigational equipment. That’s no GPS and no compass, not even a watch to tell time. 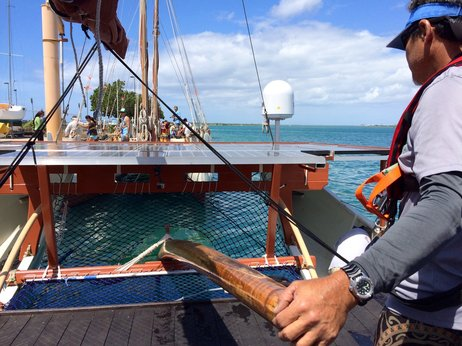 Hokulea will be tailed by Hikianalia, its sister vessel, for safety. 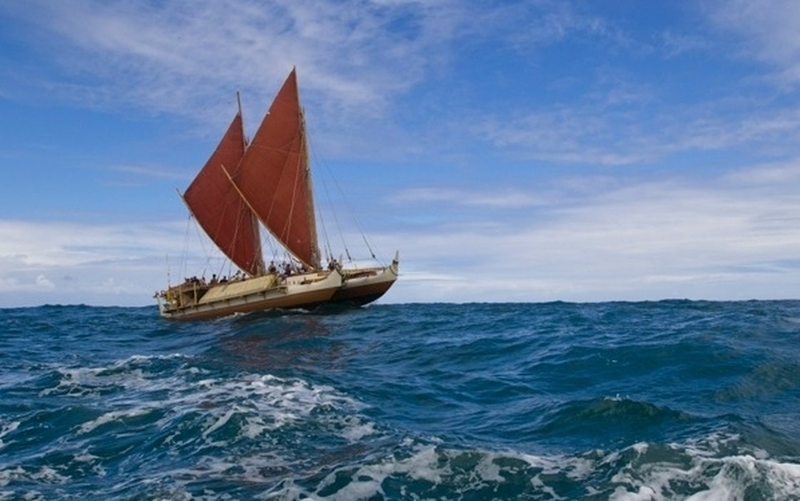 They will travel to 26 countries and over 50,000 miles on their journey to try and prove the idea that the Polynesians and Hawaiians actually did purposely transit the oceans. The two vessels set sail from Hawaii on the evening of May 30th with the stars to guide them on the first leg of their voyage. First stop, Tahiti!